Alimony Attorney in Port St Lucie, Fort Pierce Florida. What is Alimony (Spousal Support)? The word “Alimony” simply means Spousal Support. 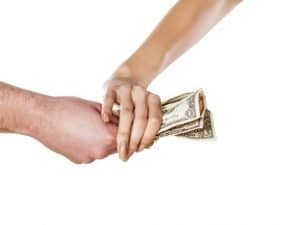 Alimony payments are payments that one spouse makes for the other spouse’s support and maintenance either by a lump sum or on a continuing basis. Alimony is paid by the “supporting spouse” to the “dependent spouse”. The Florida law concerning alimony is Florida Statute 61.08. There are multiple types of alimony including: bridge-the-gap, rehabilitative, durational, or permanent, or any combination of these forms of alimony. After the final calculation on equitable distribution, the court will address the award of alimony, if any. Whether there will be any award of alimony depends on whether there is entitlement by one spouse to an award of alimony. In order to determine whether there is entitlement, the court will examine whether there is an actual need by either party of spousal support and whether the other party has the ability to pay. Unlike for child support, there aren’t any numerical alimony guidelines in Florida. If it is determined that there is both a need and an ability to pay, Florida law pays particular importance to the duration of the marriage. In Florida, a “short-term marriage” is a marriage less than 7 years, a “moderate-term marriage” is a marriage between 7 years and 17 years, and a “long-term marriage is a marriage” is a marriage of 17+ years. Whether the marriage was “short term”, “moderate term”, or “long term” will affect whether, how and in what amounts alimony might be awarded. The court should not award excessive amounts for alimony. 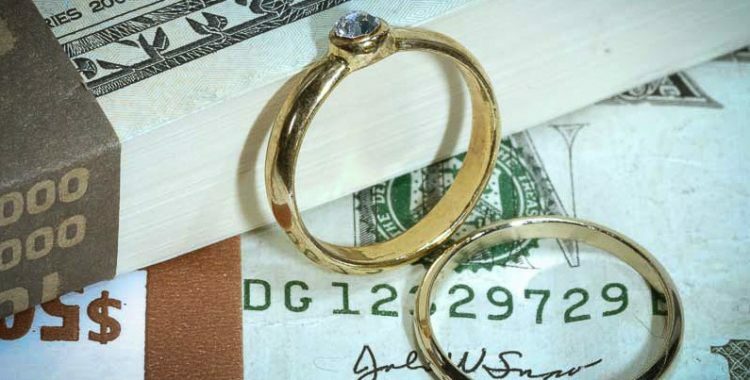 The award of alimony may not leave the payor with significantly less net income than the net income of the recipient unless there are written findings of exceptional circumstances. What Factors does the Court consider in Alimony awards? If there is a need and an ability to pay, the court will consider certain factors in determining any alimony award. One factor is the parties “standard of living.” As mentioned above, “duration of the marriage” is a second key factor. The court will also consider the age and physical and emotional condition of each party as well as the parties financial resources including the marital and non marital assets and liabilities distributed as part of the proceedings. The court will also examine the earning capacities, educational levels and employability of the parties as well as the parties’ contributions to the marriage. Unless it has been waived, the right to modification is incorporated into any agreement or judgment providing for alimony. When there has been a substantial change in circumstances, which change was not anticipated by the parties, the court has the authority to modify an alimony award. It is not possible to list all the possible changes in circumstances which might be considered but an example of a case where the circumstances had changed is where: 1) one party has become totally and permanently disabled, 2) other party’s income has doubled, and 3) due to cost of living increases the real value of alimony awarded 11 years earlier had decreased by 50%. Todd C. Passman, P.A. handles Family Law cases serving Fort Pierce, Port St. Lucie, Vero Beach, Stuart, and Okeechobee, Florida, and surrounding areas. Family law cases include divorce, child custody issues, visitation, spousal support, child adoption, petitions for modifications of orders, and pre and post nuptial agreements. If you need a lawyer for a family law matter, including divorce, child custody issues, visitation, spousal support, child adoption, petitions for modifications of orders, and pre and post nuptial agreements please contact Todd C. Passman today, at (772) 465-9806 or fill out the contact form on this page. Someone from our office will contact you right away. The Law Office of Todd C. Passman handles all types of family law cases. If you need legal assistance please do not hesitate to contact Todd C. Passman today, at (772) 465-9806 or fill out the contact form on this page. Someone from our office will contact you right away.